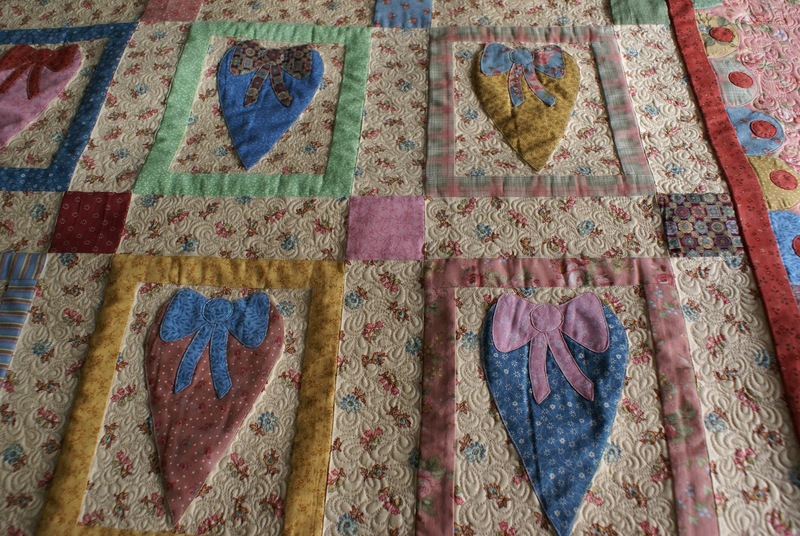 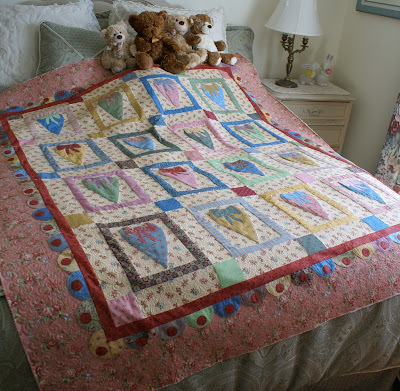 My pretty little hearts quilt is quilted and off the frame. 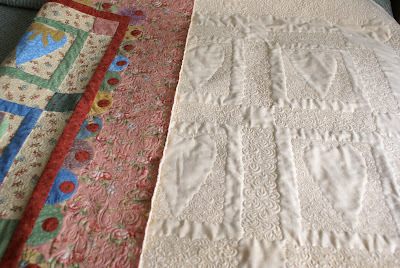 Tonight I'm putting on the binding and then I think this quilt will look perfect on the wall in our guest room. Hearts and Bows pattern is by Judy Smith, published in "Romantic Quilts" from Australian Patchwork & Quilting Magazine (2004).